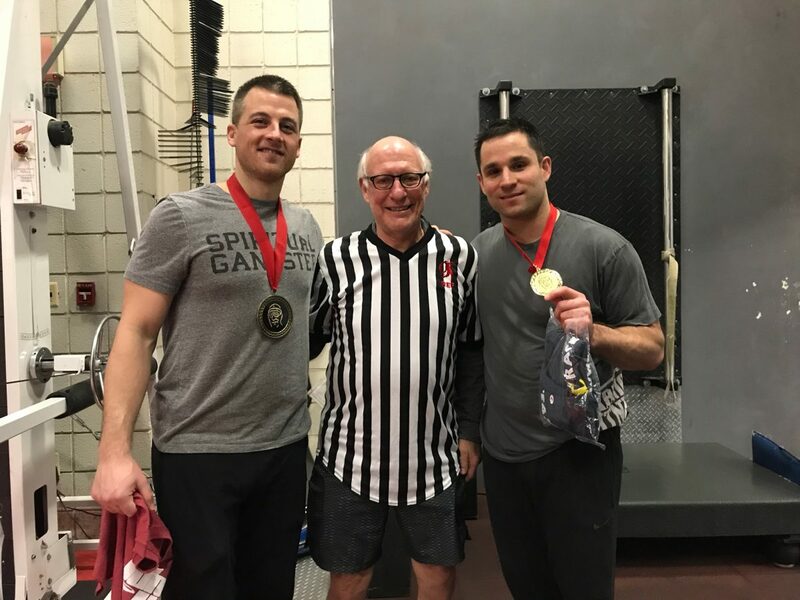 Pittsburgh, PA, WPH Press, 3/31/18– The best players in Pennsylvania were joined by handball stars from Ohio and New York in the first WPH PA State Handball Championships in Pittsburgh, PA. Amerifit Handball Club, home to the WPH Rodney Fink Classic, proudly played host to the late March extravaganza to crown the best player in PA. The open singles players were divided into two round robin groups, with the winner from each group squaring off for the PA State title. 60+ stars battled for the 60+ PA State singles title at Amerifit. “New England” Mike Semplice dominated Group A in the round robin format, cruising past Pittsburgh’s Mathieu Pelletier and current Mid America regional champion Carlos Vazquez to clinch his spot in the final. Group B featured a number of close matches, with cross-state rivals Joe Frankenfield and Andrew Joseph kicking off the event with a 21-19 thriller in favor of Frankenfield. Smokin’ Joe Delsardo cruised past New York’s Rob Bell in his first round match. “I don’t know how I beat Rob because he’s so tough,” barked Delsardo. Delsardo upped his round robin record to 2-0 with a clinical win over Frankenfield, and despite dropping a grudge match to his Pittsburgh rival Andrew Joseph, 21-19, Delsardo still clinched his group to meet Semplice in the final. Semplice and Delsardo met for the fifth time in less than a month, with Semplice winning their last four Pittsburgh Ladder encounters in overtime in the final game in each match. Semplice started well in the final, building an 8-1 lead in the best of three to 15 final. Delsardo caught fire, scoring 14 of the final 15 points of the game to take a one-game lead. 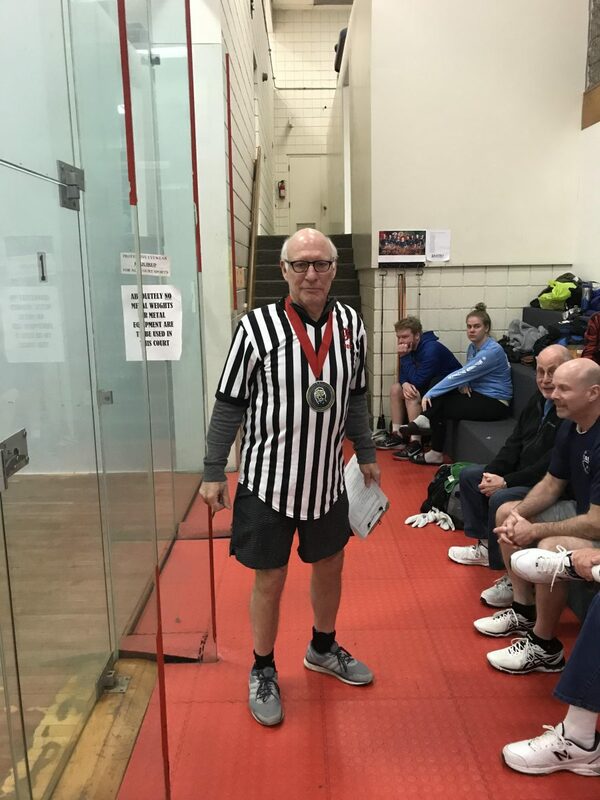 “Joe really just turned it up and Mike really couldn’t do anything to stop it,” stated PA State Championship tournament director and Level 5 referee Rodney Fink. Semplice turned the tables in game two, evening the match with steady play and pushing Delsardo into the back court. “I feel like I have to keep the pressure on Joe on every shot, so I starting fly-killing and paddling the ball towards the back to keep him off-balance,” stated Semplice. The third game was played at a very high intensity, with Semplice and Delsardo trading the lead four times en route to a 9-8 score in favor of Delsardo. “We were really battling in there but I thought the play was scrappy and I didn’t think either of us were playing at our best level,” stated Semplice. Semplice started to find the bottom board in the second half of the tiebreaker, erasing Delsardo’s slight edge and clinching the PA State Championship for the biggest title of his career. “Mike turned it up and played at another level at the end of the third,” stated Rodney Fink. 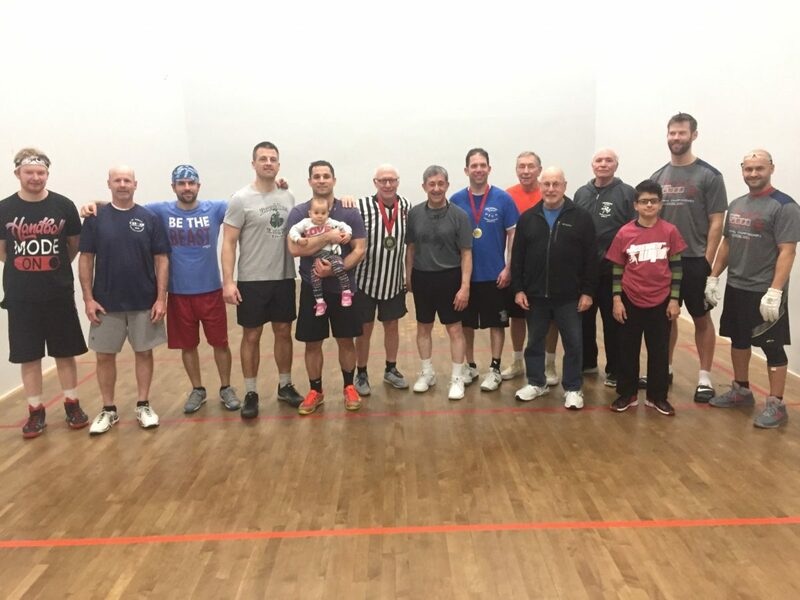 Mike Rieg ousted five-decade PA handball star Jeff Cattron in the semifinals of the 60+ singles, while John Sonoga bested Pittsburgh’s Jerry Speer to meet Rieg in the final. Rieg continued to play great ball in the final, defeating Sonoga to clinch his first PA State title. Thank you to tournament host Mike Semplice and tournament director Rodney Fink for an outstanding event.